We take huge pride in the quality of our furniture and accessories and want our customers to be happy with their purchase. If you would like further information regarding anything outlined below please don't hesitate to get in touch. We sell only vintage and antique furniture. All our pieces have had various life experiences which will have left their mark. Please read item descriptions carefully, we always endeavour to accurately describe any significant issues or faults items may have. The presence of old worm holes is the most common legacy of age in French furniture. These holes are left long after the woodworm has fled and their presence does not mean that it is alive. We check all our furniture thoroughly, any sign of live woodworm is treated long before sale. 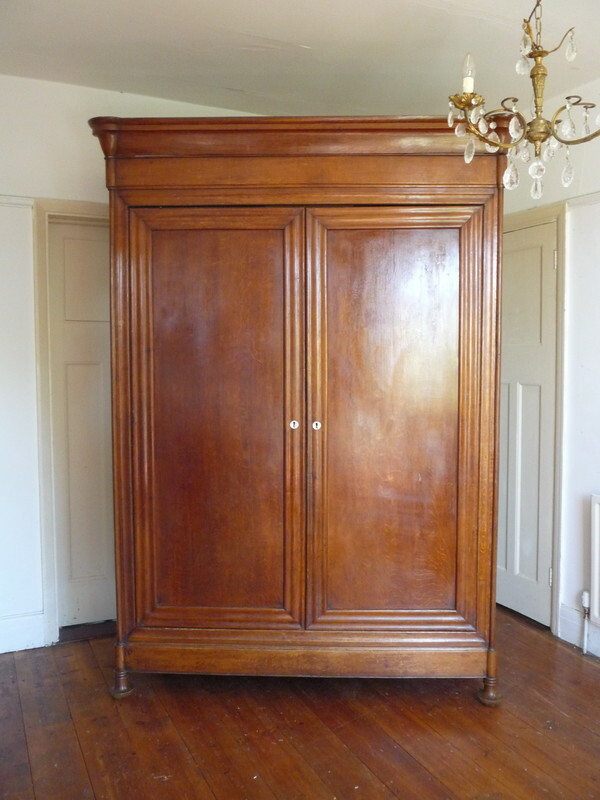 All our French armoires and items of antique storage are fully refurbished. Each piece is structurally sound but our items will only appeal to buyers who love the quality, character and quirks antique pieces bring. If you are looking for furniture that looks and feels brand new, then Dazzle Vintage Furniture is not for you. Many of the knockdown armoires we sell are very old. Buyers will receive them disassembled and should expect the subsequent parts to show their age. Each buyer will receive a step by step guide to help with the assembly of their specific armoire, but this is a guide only. All the armoires we sell are structurally sound once correctly assembled. It is the buyer's responsibility to ensure that they correctly assemble their own armoire. Please note that some older armoires will require a little more patience and time to assemble than some of the newer pieces. We aim to photograph items as honestly as possible, however, images of painted pieces may not always be fully representative of the true paint colour. We use heritage paints by Farrow & Ball, Craig & Rose, Little Greene and Fired Earth. The shades used are stated in the item description and we recommend customers check the paint manufacturer's colour card before purchasing. 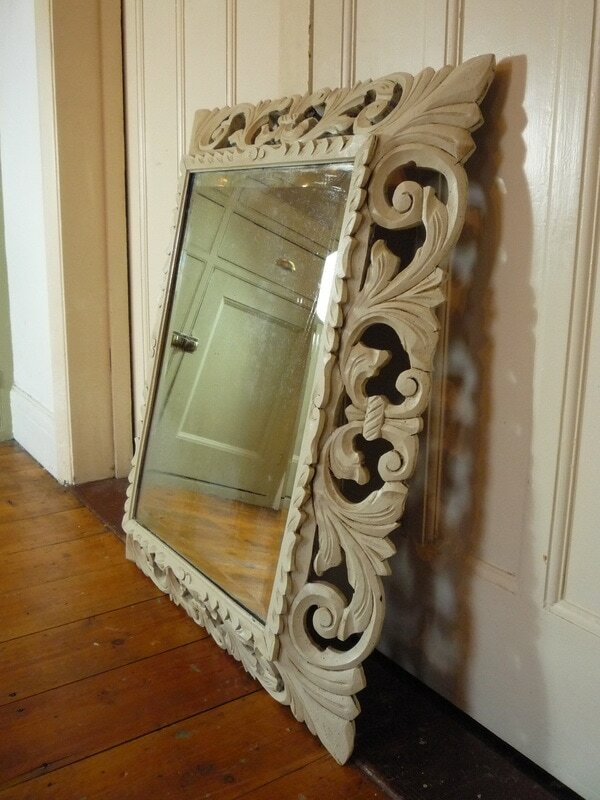 All our items of furniture and antique mirrors are delivered using a number of trusted furniture couriers. Items will normally be delivered within 2 weeks of purchase but it may take longer for buyers in Wales, Scotland and the North. It is the buyers responsibility to make sure that either they or a representative is present to accept the item on the delivery date given. Items will be very carefully handled and transported but it is the buyer's responsibility to check on receipt that their item is complete and undamaged. If fault is found customers must report this to the delivery driver at the time. Any damage must also be reported to us on the day of delivery and must be supported by photographic evidence. Note that if you sign for an item and state that you are happy with the condition as delivered you cannot later claim for damage or loss. All decorative items purchased on the website will be delivered within 5-7 days using a quality parcel courier. The price includes delivery and insurance against damage and loss. All items will be very carefully wrapped and boxed. In the event of breakage buyers should contact us immediately providing photographic evidence of the item and packaging. If the customer requests a period of storage, either with ourselves or with one of our designated couriers, the purchase may, on delivery, be outside of the cancellation period. The cancellation period on stored items is 4 weeks from the date of purchase. After this time customers can no longer request a return or refund. All customers will receive a dispatch email on the day their item is collected by the courier. Once a dispatch email has been sent the customer cannot cancel the order until the item has been received.